On March 23, 1749, months after his wife and children were sold to a new owner, Henry Brown escaped slavery in Richmond Virginia in a wooden box, sent by express mail to Philadelphia. 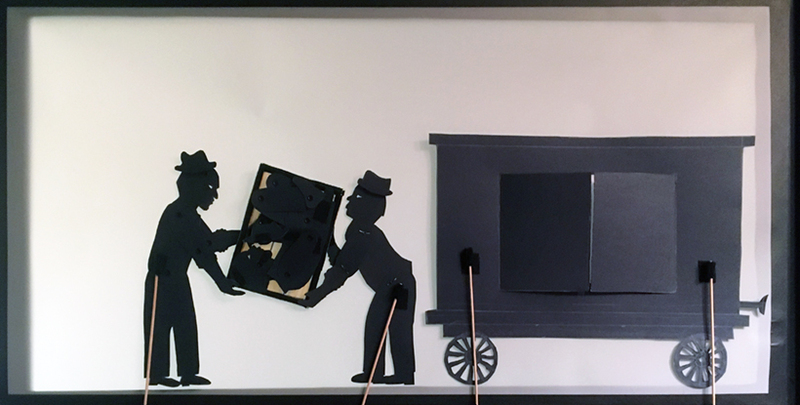 After a harrowing 27-hour-long trip by railroad, steamboat, and wagon (part of it upside down) he arrived unharmed at the office of the Pennsylvania Anti-Slavery Society on Saturday morning, March 24, 1749. When Henry came out of the box he sang, according to his own Narrative, a “Hymn of Thanksgiving,” which can be found as an anthem in The Old Colony Collection of Anthems, 1819. A member of a church choir in Richmond, he had chosen the song in advance, should he survive the journey. 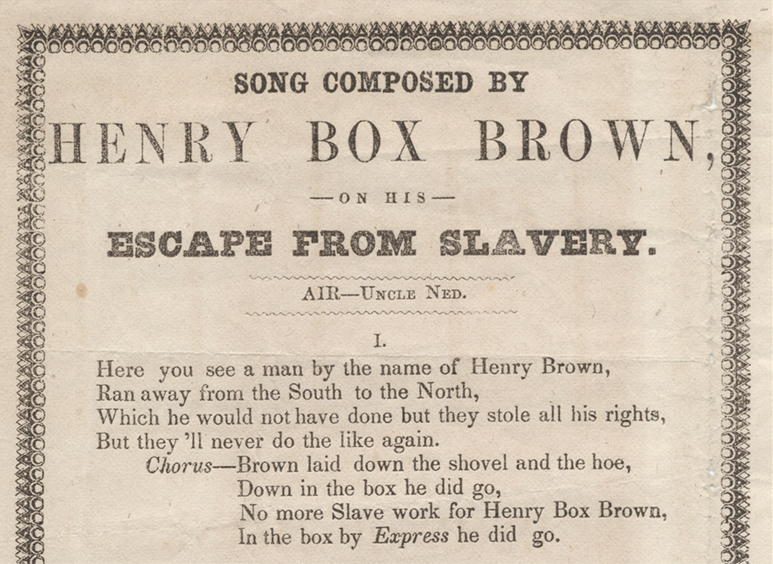 The hymn, which was soon printed in a shortened and full version with a depiction of the box, marked the beginning of Henry “Box” Brown’s career as a performing artist. He toured the country as an antislavery speaker and performer until the Fugitive Slave Act of September 18, 1850 forced him to move to England, where he continued to tour with a moving antislavery panorama. 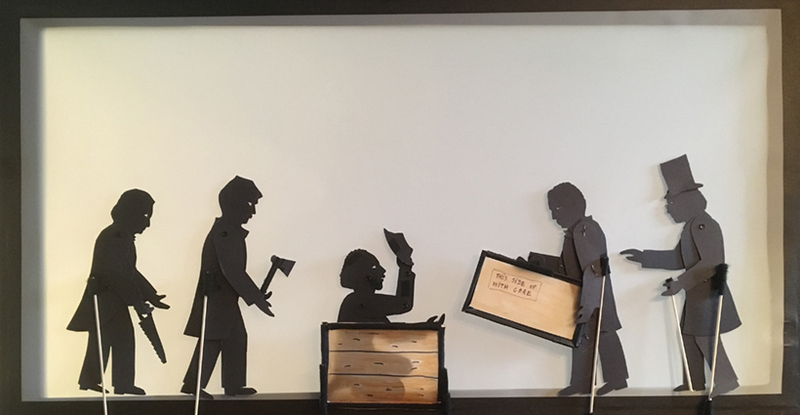 In this blog post I have used shadow puppets to illustrate another song that Brown used during his tours, which he wrote, in his own words, to commemorate his “fete in the box.” The song, which was printed with a depiction of the box as well as without, was set to the tune of Uncle Ned, a popular minstrel song at the time. 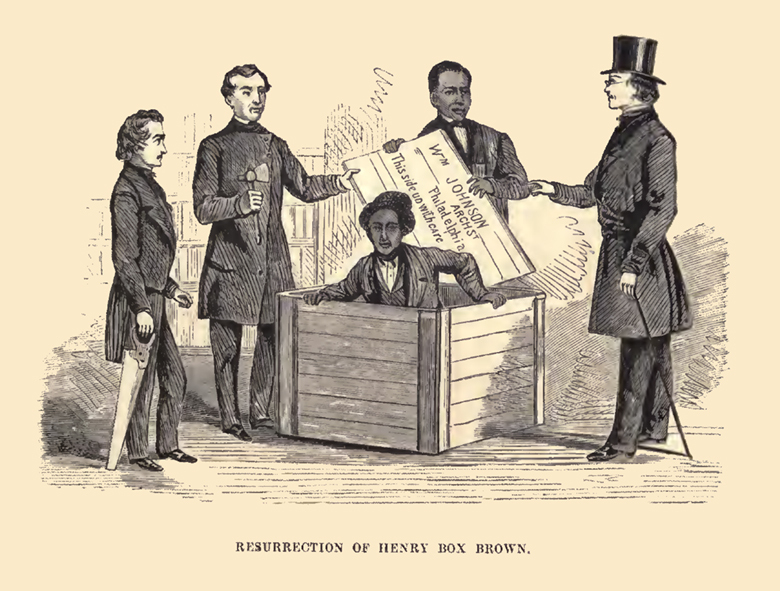 As Brown’s biographer Jeffrey Ruggles describes in The Unboxing of Henry Brown, by 1849 blackface minstrel shows were the most popular form of entertainment in the North. Abolitionists hated the genre, but as singing was an integral part of antislavery meetings they turned some minstrel songs into abolitionist versions by changing the lyrics. 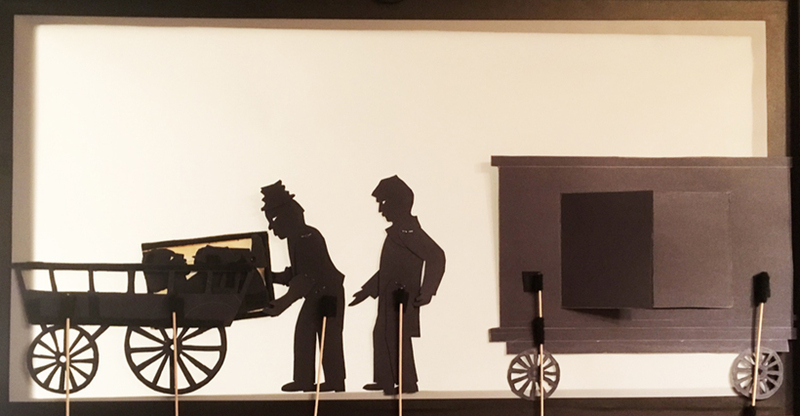 The song can be used as an interactive teaching tool about slavery and the Underground Railroad and the innovations in transportation and postal services in the 1840s, which abolitionists and fugitives used to their advantage. The song describes the various stages of Henry Brown’s 27-hour-long journey from Richmond to Philadelphia by Express, which is described in detail by Jeffrey Ruggles. The journey can be followed online in Google Earth using Dickinson College’s House Divided virtual tour, which includes historical map overlays, supporting text, historical images, and an interactive timeline (Make sure you download Google Earth first, then right-click the document (.kmz file) to open it in Google Earth). 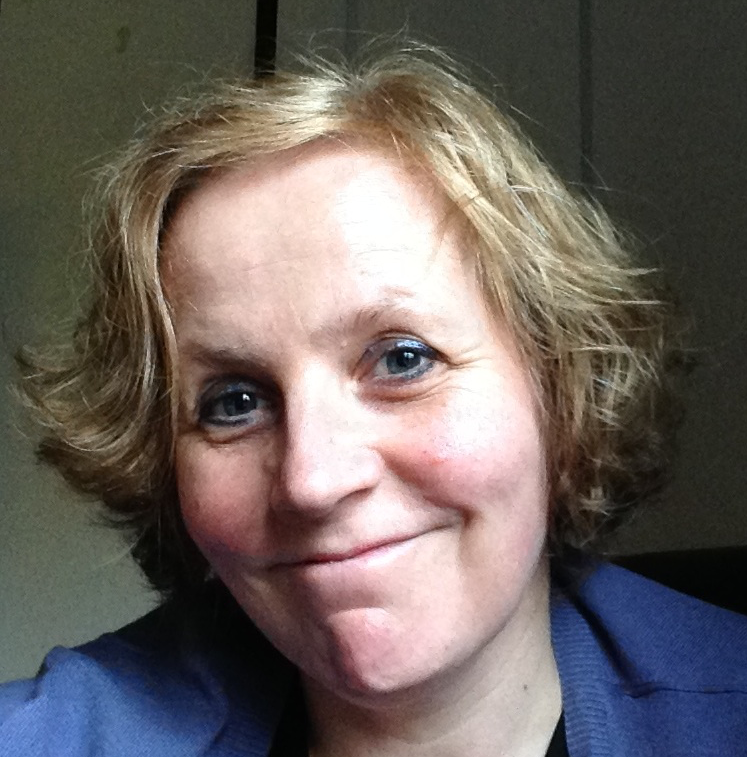 The photos below were taken from the inside of a 40″ portable screen, instructions of which I shared in an earlier post. But they’ll never do the like again. In the box by Express he did go. To bear the baggage off to the North. And they turned the box down on its side. But they never throwed him off any more. He was then set free from his pain. 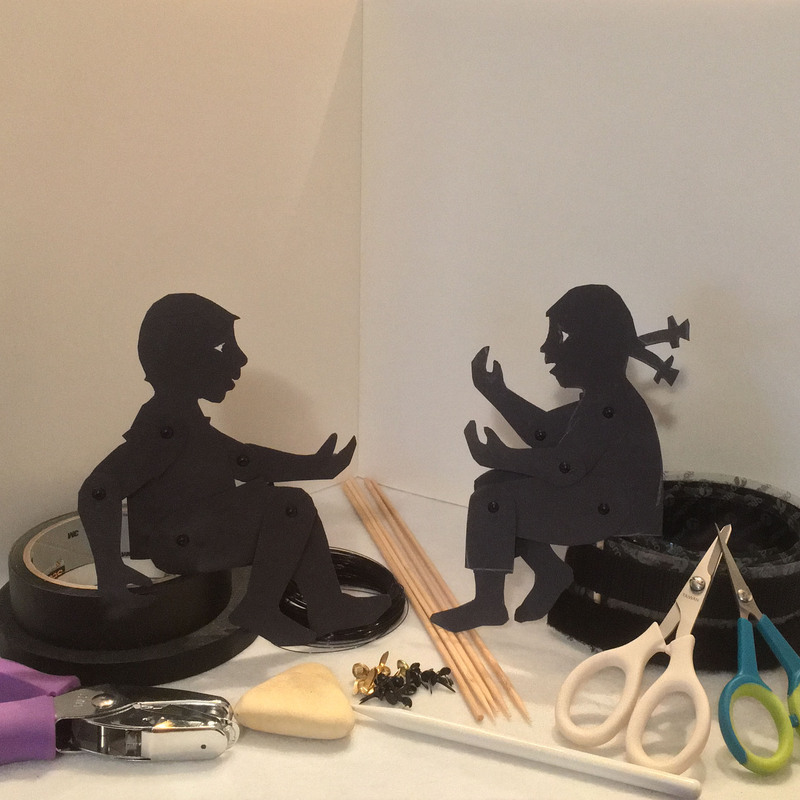 Templates for the puppets of Henry Brown and William Still, author of The Underground Railroad, who was present when the box arrived in his office, can be downloaded from our Printable Library. 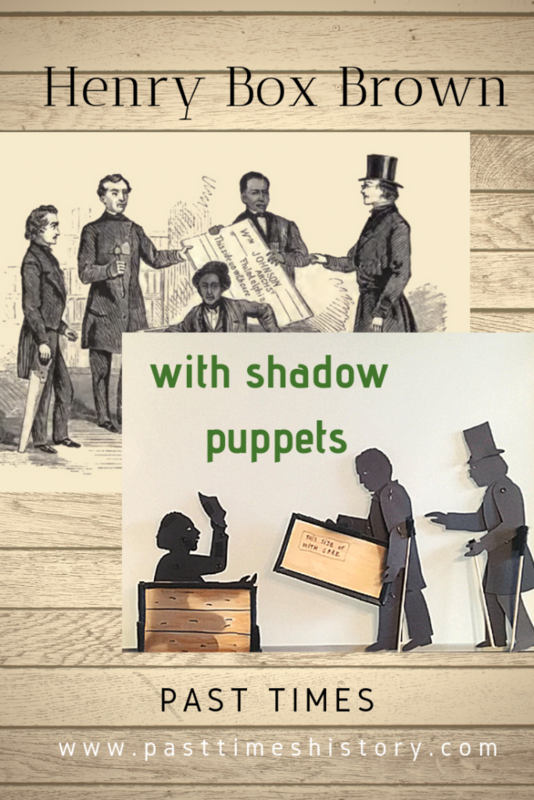 (All other puppets can be created from templates in the 19th century mix and match section). 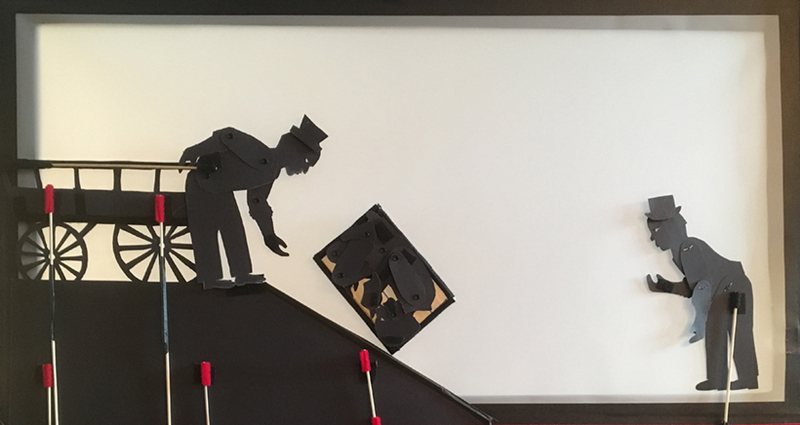 Acting out the scenes depicted above will require three students behind the screen. 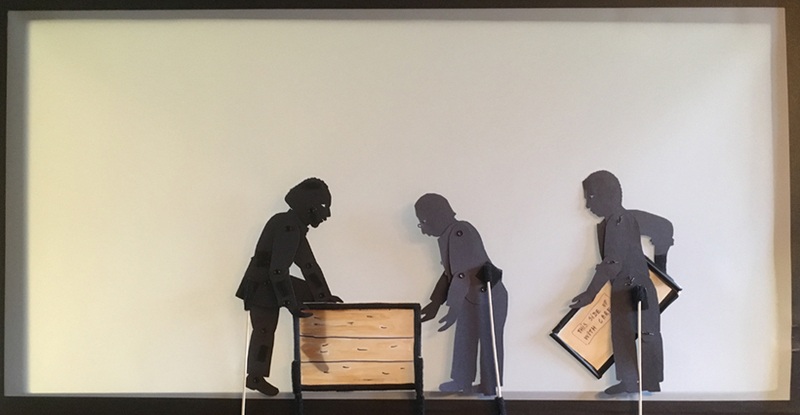 The person in the middle should hold the box against the screen with two moving rods, attached to both sides of the box with velcro, which will enable the box to tumble and turn upside down. 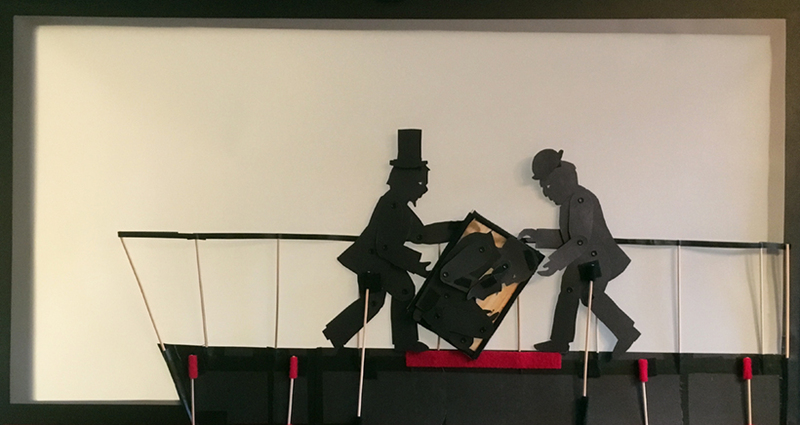 Although the puppet of Henry Brown is completely foldable, it is best to use a black paper box, rather than the transparent material that I used, which will make it easier to make Henry Brown get inside and out of the box. To speed up the pace of the story it is recommended to use two different screens next to each other. In order to act out at out this and additional stories from the Underground Railroad I will be experimenting with moving backgrounds in the near future using crankies. If you have any questions please contact me!